Through more than 15 years of serving women, I have seen the life experience of motherhood as often the first time a woman must deeply trust her body and herself. As a woman learns how to honor her body through fertility, pregnancy, postpartum, and beyond, I provide guidance and support. A mother of two children, I have walked that path myself, and it is an honor to walk with women and their families on that personal, life-changing journey. Through education, encouragement, and loving kindness, I dedicate my practice to helping women believe in their amazing, powerful bodies. I’ve taught Birthing From Within childbirth education for 8 years and apprenticed as a midwife at The Farm Midwifery Center for 2 years. I am a DONA-trained birth doula, and have been attending births for 10 years. I am also a certified pregnancy massage therapist and infant massage instructor, and I have practiced massage therapy since graduating from Atlanta School of Massage in 2003. I live in Chapel Hill, TN, with my Park Ranger husband and our two boys. "I love being part of the heroic journey of womanhood." At Womankind, I’m here to support you on your journey to wellness through massage. I want you to come and not just get a massage, but I want you to feel honored, heard, understood, and nurtured. I want you to have a life changing experience! There are not many rites of passages or rituals that encourage women to nurture their bodies and souls. I want to help you elevate the way you view and treat yourself as a woman, as a mother. One of your greatest acts of kindness is to take the time to meet your personal needs and address your physical and emotional well being. We live in a fast pace world, and a lot of times we are ruled by routines and busy schedules. Taking time out of your day to take care of yourself should feel rewarding. You should feel relaxed and renewed. Serving our community by providing healing touch, education, and nonjudgmental support as you walk your personal journey through conception, birth, motherhood, and the years beyond is my calling and purpose. When you come to Womankind, you will have a very unique experience. You will feel empathy and understanding for the path you are on, and there will be time set aside to discuss your physical and emotional needs during each session. I value the place you are in and want to make sure that you are honored. There is no better or rewarding way to do that than getting a massage from a practitioner that cares about you. I strive to facilitate a space for women to reconnect to their bodies, explore their inner wisdom, and to share their unique feminine experience. Whether you are struggling with fertility, trying to find your trust in pregnancy and birth, getting your confidence in motherhood, growing into your wiser more distinguished body as you age, all women are loved at Womankind. Womankind is there to hold space for you and provide an outlet for the self-care and self-love that you deserve. 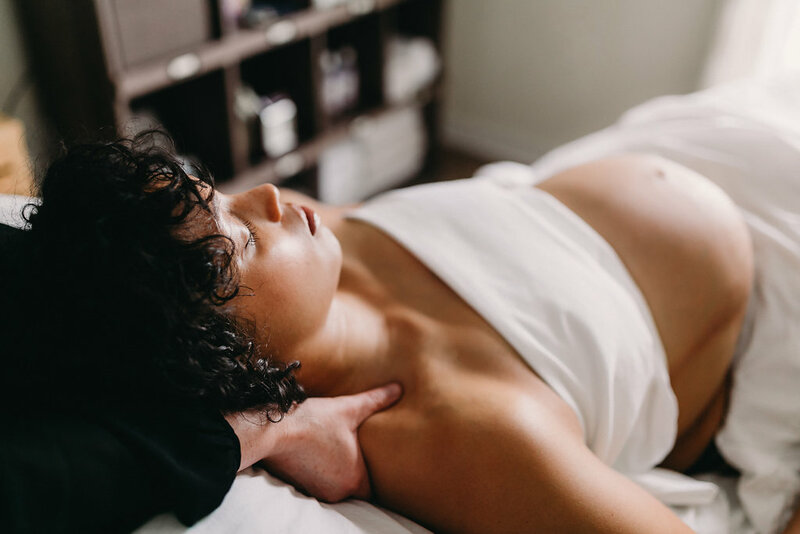 Originally, Gaia Birth and Bodywork started in 2008 because I wanted to serve and specialize in supporting women during their childbearing years. We all shift and grow over the years, and it felt like the right time to expand what I do. Womankind was born! My studio is located inside of Cedar Tree Wellness Center off of Harding Place and Trousdale Drive near the Crieve Hall neighborhood of Nashville. I serve the greater Nashville area, including the surrounding neighborhoods: Berry Hill, Oak Hill, Forest Hills, 12 South, Belmont, Hillsboro Village, Green Hills, Belle Meade, Sylvan Park, West End, The Gulch, Brentwood, and Franklin. I even see clients come as far as West Tennessee and Kentucky! My business is continuously evolving, as I expand and explore more ways to support women during their transition to motherhood and becoming the women they are meant to be. I am glad that you’ve joined me! Please join me and share Womankind with your family and friends on Facebook and Instagram. You’ll be one of the first to receive exciting news and hear about my special offers!